The upcoming HD re-release of Odin Sphere has been said to feature a revised battle system, though details about changes have been light. The Japanese PlayStation.Blog recently posted some footage of the game’s Classic and Refined modes, allowing more insight into the updates being made to the battle system. Both videos cover the tutorial sequence at the beginning of the game. 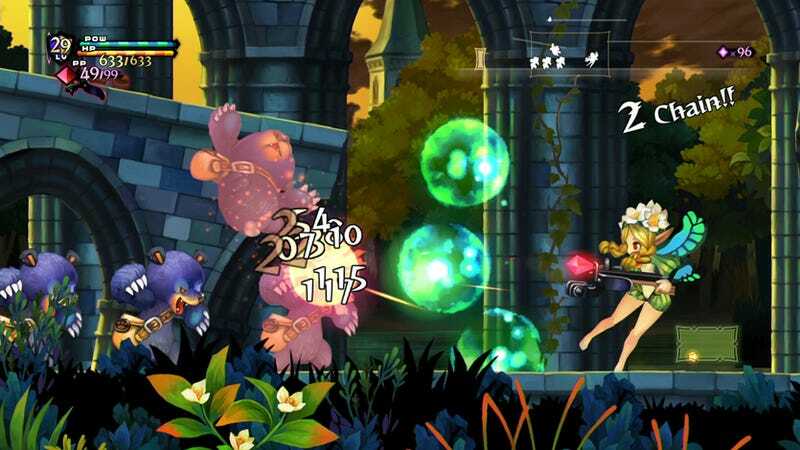 Odin Sphere boasts a gorgeous presentation backed by a fantastic localization from Atlus, but it’s hard to ignore that the real meat of the game is its battle system. The combat takes you from point A to point B, and when that aspect suffers, so too can the total experience. If you’ve played the original and generally lack patience (like me), you likely found it frustrating—too frustrating to finish the whole game, perhaps. Fortunately, Leifthrasir’s new Refined Mode may be up your alley as the updated battle system seems much snappier and more along the lines of Odin Sphere’s successor, Muramasa. The addition of light platforming is instantly noticeable, as is the increased intensity of aerial combat, bumping up the verticality and diversity of what were typically flat, short maps. Perhaps some of the biggest and most welcome changes are those made to the game’s inventory system. The original bag system was a bit of a hassle, requiring the player to buy expensive additional bags to increase inventory space and personally organize their contents while on the battlefield. In Refined Mode, the bags seem to have been replaced entirely with a tabbed menu that automatically organizes and categorizes your items. You can also pull up recipes and your inventory at the same time instead of accessing your in-game encyclopedia separately. I’m actually excited to replay Odin Sphere with these new changes. While the original form of the game is preserved in Classic Mode, I always felt it was a gauntlet of annoying enemies, unwieldy combat, and irritating status effects (you don’t need a “warming potion”, just put on a coat! ), and I could never bring myself to see it through to the end. In a time when we’re getting re-releases where no time is made to fix bugs and errors (Grim Fandango Remastered) or technical problems have somehow increased (Silent Hill HD Collection), it shows great effort from Atlus and Vanillaware that they’re also re-balancing and adjusting its playability. What do you guys think? Odin Sphere: Leifthrasir releases next month for PlayStation 3, PlayStation 4, and PlayStation Vita in Japan and some time in Spring 2016 in North America.